This is a die-cut Ford Coast to Coast porcelain sign. This particular Ford Coast to Coast sign is red, white, and black. 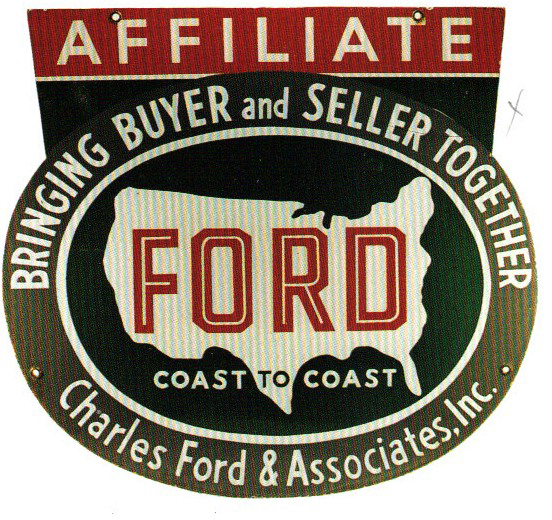 It reads, “Ford Coast to Coast, Bringing Buyer and Seller Together, Charles Ford & Associates, Inc., Affiliate” and features a white silhouette of America in the center.